Ani's Book Abyss: My TBR List -- May Winner! 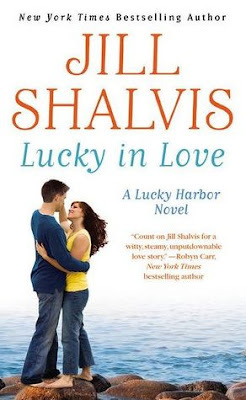 Lucky in Love by Jill Shalvis won with 5 votes out of 12! Counted votes ended up being a pretty close one by the end. Fire and Ice got 3 votes and The Dragon and the Pearl came out with 4 votes. I haven't been putting a personal vote in lately, but if I had voted, I probably would have voted for Lucky in Love anyway, so I'm quite happy it won. Although I'm fairly in want of reading the other two books as well. I guess they'll have to wait a little longer. My reading schedule is a little booked this week and the next, for the first time since the beginning of the year. yay! Glad to see this one won. I hope you'll enjoy it. I really have to start this series soon. It is definitely lots of fun to read! Hope you get a chance to start reading it soon. Yea! The one I voted for won. :-) I hope you enjoy it! I really enjoy her books. I've been hit or miss with Jill Shalvis, but mostly hit. And so far Lucky Harbor has been quite enjoyable!